KORG is pleased to announce a new software update for the KRONOS, version 3.0.2, as well as the availability of KApro' new "EXs19 KApro Private Collections" library. KRONOS software version 3.0 is a major upgrade, featuring the new SGX-2, system-wide touch-drag gestural input from the touch-screen, larger on-screen fonts, the ability to edit Programs in the context of Combinations and Songs, 12 vintage effects, and a raft of improvements to Set Lists. 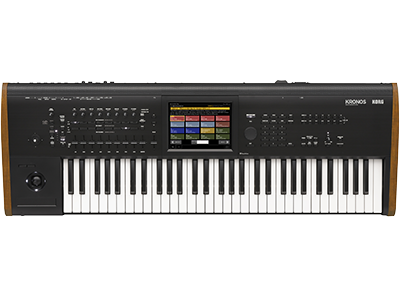 EXs19 "KApro’s Private Collection" is free for registered owners of the new KORG KRONOS, and is available to owners of previous KRONOS models at an introductory price of only $49 through December 31, 2014 (after which the price will be $99). Visit Kronos Sound Libraries from here. KRONOS System Version 3.0 provides nearly all of the features of the new KRONOS, except for the updated sounds and sample libraries. 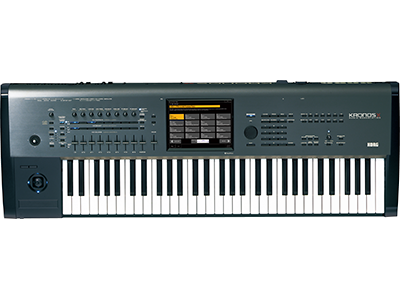 These updated sounds and libraries, including the EXs17 Berlin D Piano, EXs18 Korg EXs Collections, and new Programs and Combinations, are expected to be made available for owners of previous KRONOS models in late January 2015 (price TBD). Home News Announcement for all KRONOS users!